Did you know there is a movement to save pink kitchens and bathrooms from the 50s? Yeah, I scratched my head when I hear this one, too. But I did a little research today and learned about Mamie Pink. As the First Lady, Mamie Eisenhower was certainly a trend-setter and her favorite shade of pink became a celebration of the joy that Americans felt for the end of WWII. 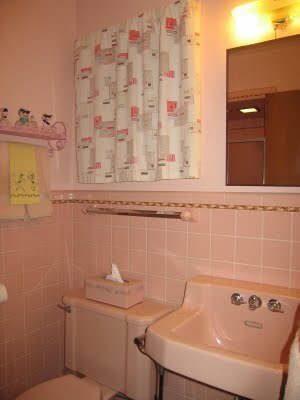 It is estimated that a quarter of all new home bathrooms built between 1946 and 1966 had pink bathrooms. That makes for 5 million. A lot of pink, right! Even with this new historical knowledge and appreciation for the times, I still hate pink. To be perfectly honest, it just isn’t a color that appeals to me. I feel the same way about yellow and gray. Not for me. Yes, sunrises and Hubba Bubba are awesome things, but other pink things, blah. As a tomboy, it kills me to walk down the girls’ toy aisle and be bombarded with pink. Really Hasbro and Mattel, there are other cool colors. I know this feeling started as a child and I have evidence. See this pink sweater? Inside is an embroidered tag that says, “Made Especially for You by Marjorie.” My grandmother. This was a birthday or Christmas present for me when I was about 7 years old. And it wasn’t the first. 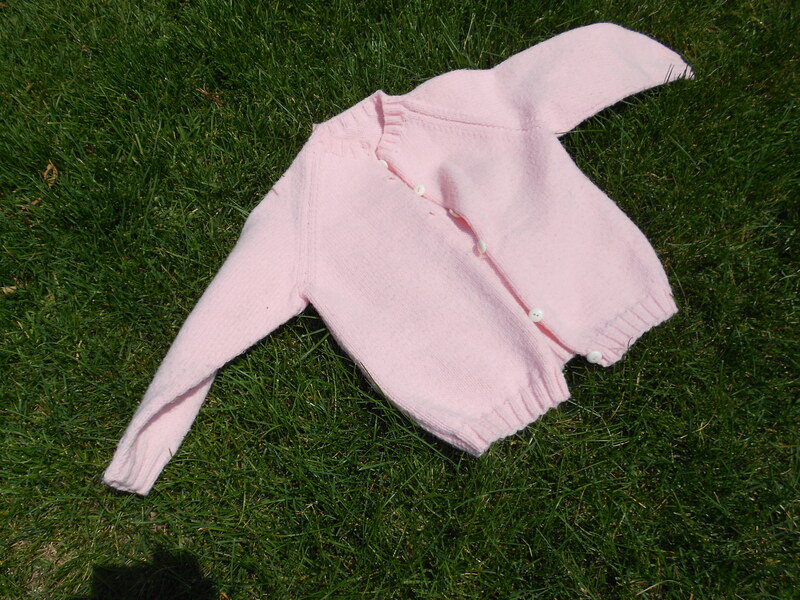 Previous to this one, there had been an entire series of hand knit pink cardigans. I hated wearing every single one. But guess what, I’m not alone. That’s why I was so happy to find this picture book! I DON’T LIKE PINK by John Petersen. It is a cute and easy-to-read rhyming picture book about a spunky girl who has the same opinion of pink that I do. I highly recommend it if you’ve got a little one that feels the same. Or if you’re just looking for a fun read and to let young girls know that it is okay to have their own independent opinions.